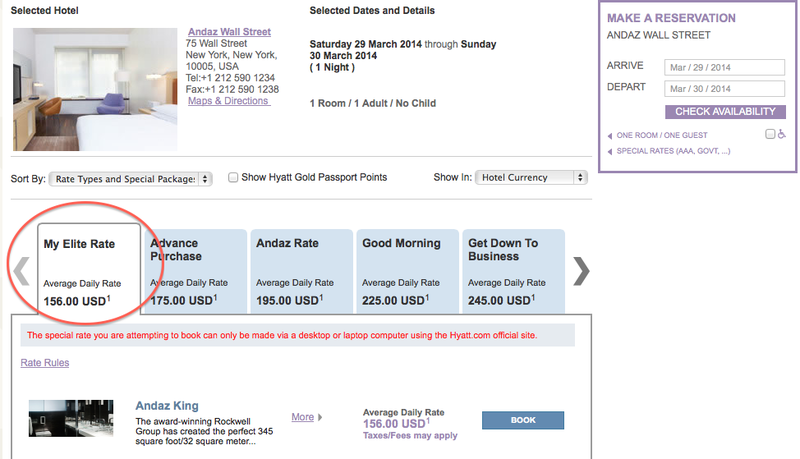 Hyatt recently introduced an added benefit for gold passport platinum and diamond members. This rate is easy assessable simply by logging onto your account and making a booking. If the elite rate is available for those dates it will show up as shown below. Platinum status is obtainable after 5 stays/15 nights or by simply by signing up for the Chase Hyatt credit card.